Create the new face of your machine using Parker’s proven and intuitive HMI development software on powerful new hardware and gorgeous displays. The IX offers the software power, features, and flexibility normally reserved for SCADA level applications in a rugged, slim form factor and cost-effective price. 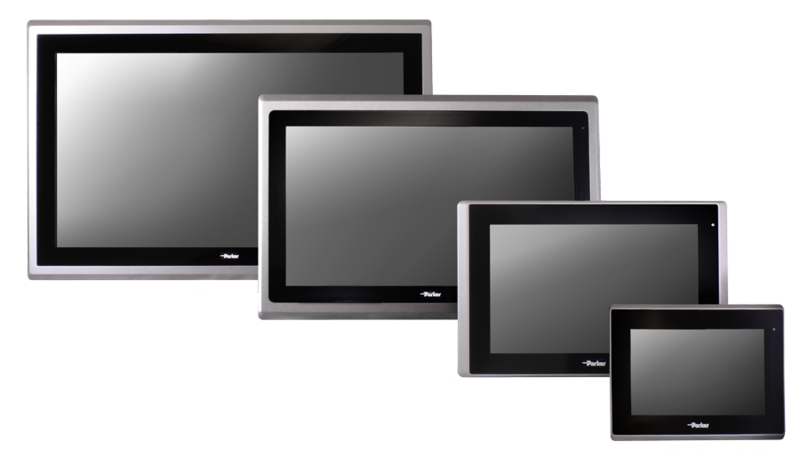 XT models are designed to be the perfect complement to our Interact Xpress HMI software by offering a rugged industrial design in a sleek and reliable form factor. The award winning Interact Xpress HMI software is bundled on every XT PowerStation, offering the Industry's best performing web publishing capability for remote view/control/edit.